Traditionally painters are known as artists who practice the art of creating paintings, frescoes and generally decorate canvas in an innovative and artistic way. From the nineteenth century, with the new photographic techniques that allowed immediate and more faithful portraits, some painters became photographers or illustrators, whereas another painters began to believe in their personal inspiration and not in the commission of a customer. This ranking is based precisely on the artists, for which Ecuador has led great names throughout its history. 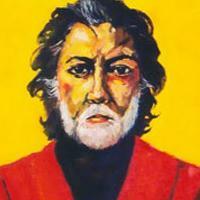 In your opinion, what is the best painter Ecuadorian of all time? Go ahead and participate! Who's the Best Ecuadorian Writer of All Time?